Nosey was surrendered to Fixed Fur Life. She was often over looked because of the deformity to the bridge of her nose. (I personally thought it made her look adorable!) 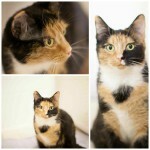 She has been Spayed and now adopted! Puff and Silver Fox were 2 stray cats that found their way to FFL. 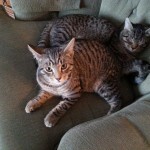 They were Spayed and Neutered and as they were a bonded pair they were adopted together. Shown here in their new home! Couldn't resist posting these of Oreo. Shown here in his many relaxing stances while being photographed. 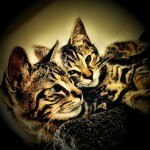 It was shortly after these were taken that he and Echo were adopted together! 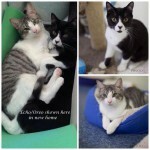 Echo and Oreo came to FFL as abandoned kittens. 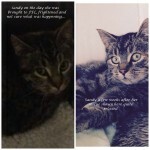 Both were neutered when they were of age and they were adopted together! Thelma and Louise - These 2 momma have single handed populated Trenton. They have had litter after litter and we finally managed to capture them. 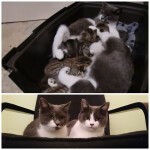 They weaned their kittens (who have now all been adopted) and both were spayed and adopted together! Stella was rescued from Animal control with her 4 babies. After battling a severe eye infection she was spayed and she and her babies have all been adopted! This elderly girl was found in the Walmart parking lot in Belleville. Severely matted with zero identification and zero chip. 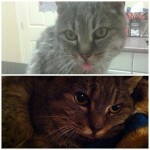 When vet checked it was discovered that her teeth were so badly rotten that her jaw bone had been affected. Surgery was done and all of her teeth had to be removed. After weeks of treatment she bloomed into a beautiful girl and was adopted! Bugs,Bunny and Cricket (Cricket was adopted) were found as wee kittens. Thank you to Belleway Veterinary Hospital for contacting Fixed Fur Life when found . They are now approx. Bugs the smallest of the crew was born with a significant Heart Murmur (Grade 6 severe) Shown here with his sister Bunny they both grew into beautiful cats. Both were adopted! Sandy is another of the 38 cats rescued from the Marble Point Colony. Shown on arrival frightened and unsure. Many weeks later shown in a relaxed state. 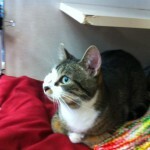 She has now been adopted and is living comfortably indoors! 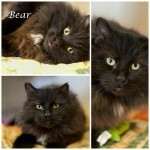 Bear was taken in as a stray. He was neutered and has now gone on to his new home! 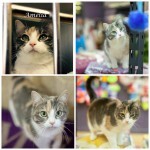 Amelia is one of the 38 Marble Point colony kitties that were rescued by Fixed Fur Life.. She Spayed and has been adopted! Hoovers owner passed away. 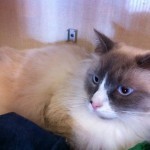 He and his brother Jonsey came to Fixed Fur Life and were both adopted out. 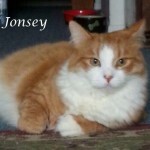 Jonsey's owner passed away. 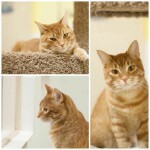 He and his brother Hoover came to Fixed Fur Life and were both adopted out. Jinxy was an outdoor stray populating the world with her kittens. 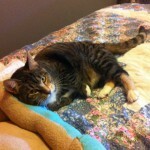 She was taken into foster care, Spayed by Fixed Fur Life and is now happily adopted and living an indoor life of leisure! Donnatello and Michelangelo in their new home! 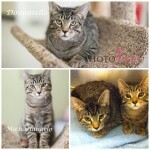 Michaelangelo and Donatello are 2 boys whose owner could no longer care for. 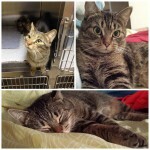 They were surrendered to Fixed Fur Life, neutered and adopted out as a bonded pair!. Simba's's owner could no longer take care of her. 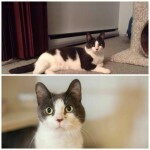 He was surrendered to Fixed Fur Life, neutered and has now been adopted! Chloe's owner could no longer take care of her. She was Spayed and adopted! 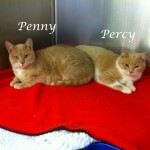 Penny and Percy are 2 cats from the Marble point colony. 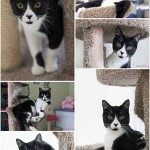 (38 cats that were rescued by FFL0 Both have been fixed and are very sweet. 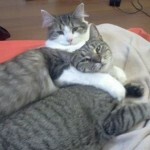 They were adopted together and no longer have to endure the harsh outdoors!